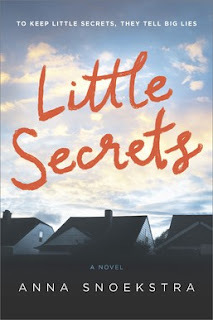 Little Secrets by Anna Snoekstra is a highly recommended thriller. In Colmstock, Australia, an arsonist has recently burned down the courthouse, killing a young boy who was inside. Rose Blakey is an aspiring journalist in Colmstock who just needs an opportunity to escape from the small town and make a name for herself. She's been given an ultimatum to move out of the family home by her stepfather, but she has no where to go, unless she can somehow manage to get a job writing in the city. Currently she's working as a barmaid in a local tavern where the police hang out every night. After the fire Rose learns from Frank, one of the police officers who hang out at the bar nightly and one who has a crush on her, that someone has begun leaving porcelain dolls on the doorsteps of homes where young girls live. The dolls all bear an eerie resemblance to the young girls who receive them. Rose's younger sister, five year old Laura, had received one of the dolls, so Rose contacts the police to turn it in, in hopes that they can find the creep who is doing this. Then Rose begins to view the doll story as her ticket to escape Colmstock. She investigates and writes up a version of the story to sell to a tabloid, The Star, and she gets published. Now she needs to keep updating the story in hopes of finding a way out of the small town. An exactly who is the mysterious stranger who arrived in town and why is he there? This is a compelling thriller that will hold your attention. Snoekstra keeps the tension and paranoia high in her characters and the atmosphere unsettled and ominous as Rose investigates. When suspicions run high and the community begins to turn against her and each other, the tone of the novel becomes dark. Soon it becomes apparent that everyone has an agenda and secrets. This is a desperate town full of desperate, suspicious people. There really aren't any likeable characters here. You may think you like of dislike a character, but will then change your mind as events unfold. There were so many different directions that the story could have been taken that I was a little disappointed in the direction Snoekstra choose. I did like the resolution to the doll story, but there were other little comments made or actions taken in the narrative that could have made for a richer, deeper experience. 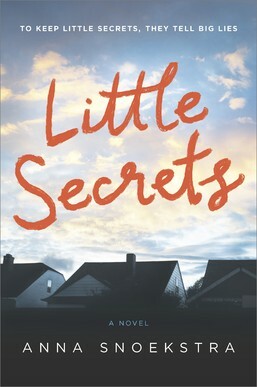 Still, Little Secrets is a satisfying novel. Disclosure: My review copy was courtesy of MIRA Books.